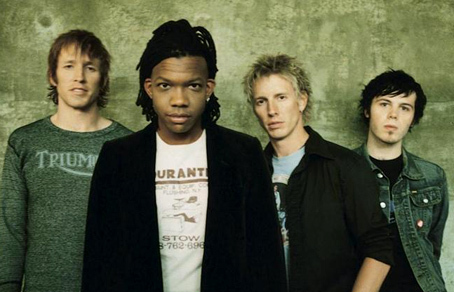 Michael Tait is no stranger to the Christian music scene. As part of power trio dc talk, Michael has enjoyed success in both Christian and mainstream arenas, amassing a nice collection of Doves, Grammys and six records of various metallic make-up. We the group dc talk took an intermission, Michael wasted no time forming a band with roommate Chad Chapin, former Petra bassist Lonnie Chapin (yeah, they're brothers) and former Grammatrain frontman Pete Stewart. The band officially formed in 2000 and was named Tait after Michael’s father, Rev. Nathel Tait. After about a year in the studio, the band released their first album entitled Empty (2001). It was generally well received, and the album even broke onto the Top Contemporary Christian charts. The album featured songs that handled subjects like skepticism of others (“Spy”), racism (“American Tragedy”). Once again the band went into the recording studio in 2002 and worked through 2003 to release a new album. The group was successful, and in November they released Dove Award-winning Lose This Life. The album proved that the group had matured into a much more aggressive hard rock sound compared to Empty’s more relaxed easy-listening music. Around the time the album was released, band members also participated in the production of !Hero, a rock opera which modernized the life and times of Jesus Christ. From songs such as "Unglued," which talks about the pain Michael went through losing his father, brother and sister in one year's time, or "Bonded" that simply talks about spending more time with Jesus, to the title track, "Empty," which truly speaks to the spiritual question, "What if you gain the whole world and lose your soul," the listener will feel the highs and lows of everyday life, that we all go through. 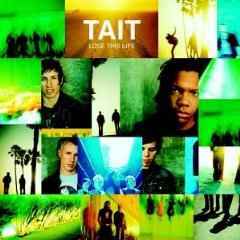 "There's a believable passion that carries through Lose This Life," says Michael Tait, the band's lead singer whose notoriety as a member of dc talk gave the band TAIT its initial jumpstart. "Even the slow songs have this tremendous energy. This project exudes life and is really a statement from the heart. We're intense about saying things that matter. The older I get the more I realize how short my time on earth is. As a band, we don't feel like we have time to sit back and tickle people's ears." "I love it when a lyric and a melody combine in a way that people can immediately absorb," says Michael. "'Lose This Life' just clicks. The song is about losing your life in order to find it, and the music and the vocal and the thoughts combine in a powerful way that makes the lyric believable. We've already been testing it out live and people really react to it in a big way." "A lot of these songs were birthed out of the struggle in our lives to move from a safe, comfortable place, into a place of total dependence on and total abandonment to the Creator," says Michael. "We talk about that a lot in our band devotions. We know that the only way to find true peace, hope, love, joy and salvation is to let go of the things of this life. God calls us all to release those lesser things, to give them up so that our hands are empty and we're ready to receive those things that are good and eternal and from God. That's a truth we want to live by, and a truth we want to share, both on stage and off. 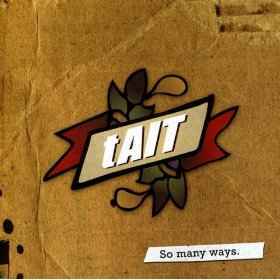 For us, that's what Tait is about.